: It is not just the fracture of the lower end of radius but a fracture dislocation of the interior radioulnar joint. The fracture occurs about 1 ½” (about 2.5 cm) above the carpal extremity of the radius. Following this fracture some deformity will remain throughout the life but pain decreases and movements increases gradually. 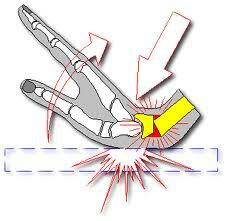 The common mode of injury is fall on outstretched hands with dorsiflexion ranging from 40 to 900 (average 60). The force required to cause this fracture is 192 kg in women and 282 kg in men. Fracture pattern: It is usually sharp on the palmer aspect and comminution on the dorsal surface of the lower end of radius. Have you suffered from Colle’s Fracture? What was your approach? Usually the patient is an elderly female in her 60s and the history given is a trivial fall on an outstretched hand. The patient complains of pain, swelling, derormity and usual features of fracture at the lower end of radius. Though dinner fork deformity neither is a classical deformity in colle’s fracture, however it is nor found in all cases but seen only if there is a dorsal tilt or rotation of the distal fragment. However the styloid process test is more reliable. Aim: The aim of the treatment is to restore fully functional hand with no residual deformity. The treatment methods include conservative methods, operative methods and external fixators. Conservative methods: Here fracture reduction is carried out by closed methods under general anesthesia (GA) or local anesthesia. Then the limb is immobilized by a below elbow cast called Colles cast and a check radiograph is taken. The plaster cast ids removed after 6 to 8 weeks and physiotherapy is begun. The common causes of failure of reduction are incomplete reduction of the palmer fracture line and dorsal comminution of the lower end of radius. Operative methods: This consists of ORIF with plate and screws. However operative treatment is rarely required for Colle’s fracture. Indication: Operative treatment may be required in the following situation extensive comminution, impaction, and median nerve entrapment and associated in juries in adults. External fixators: These are found to be extremely useful in highly comminuted fractures, unstable fractures, compound fractures and bilateral Colle’s fractures. Contrary to popular belief Colle’s fracture is both intra-articular and extra-articular and not only extra articular Frykmann’s classification takes into consideration both and also the fracture of ulna. This can be easily diagnosed on plain X- rays of the wrist. Few significant complications are discussed here. Malunion: This is the most common complication of Colle’s fracture. Rupture of extensor pollicis tendon: This occurs due to the attrition of the tendon as it glides over the sharp fracture surfaces. 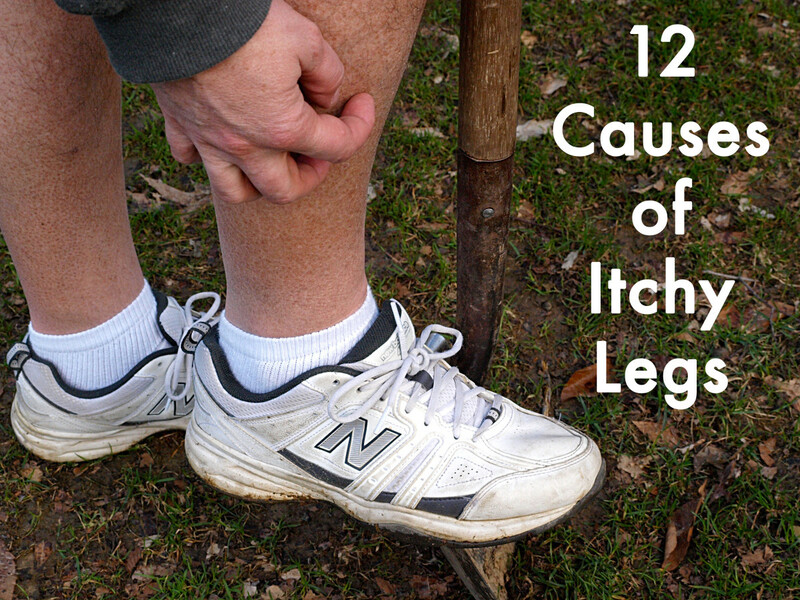 This usually occurs after 4- 6 weeks and may be required or left alone with no residual disability. Sudeck’s osteodystrophy: This is due to abnormal sympathetic response which causes vasodilatation and osteoporosis at the fracture site. The patient complains of pain, swelling, painful wrist movements and red stretched shiny skin. Treatment consists of immobilization of the affected part with plaster splints, injection of local anesthesia near the sympathetic ganglion in the axilla or cervical sympathectomy in extreme cases. This is a troublesome complication which develops due to necessary voluntary shoulder immobilization by the patient on the affected side for fear of fracture displacements. It is said that the patient has performed a mental amputation and kept the limb still. Nonunion: This is extremely rare Colle’s fracture because of the cancellous nature of the bone which enables the fracture to unite well. 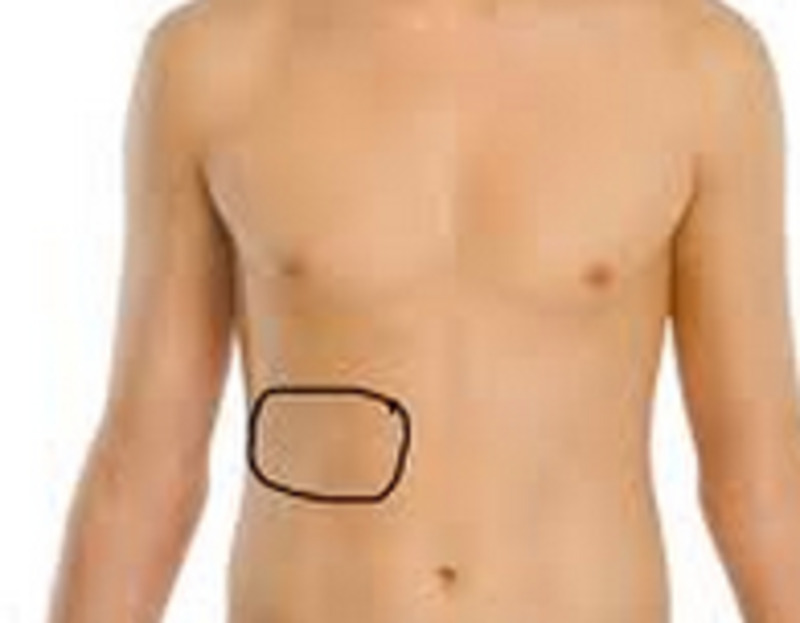 However soft tissue interposition may cause this problem. The treatment consists of the open reduction, rigid internal fixation and bone grafting. The rehabilitation following a Colle’s fracture follows a planned program to attain the following objectives. Normally ulna is about 1-3 cm shorter than the radius (negative ulnar variance). 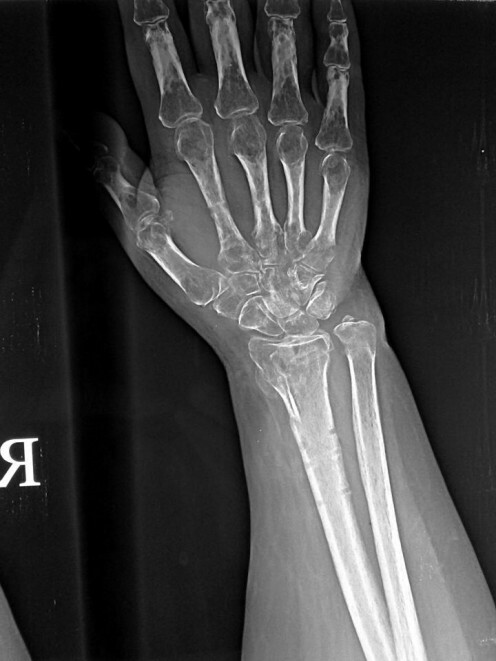 This is reversed in Colle’s fracture (positive ulnar variance) due to radial shortening following the fracture. This negative ulnar variance has to be restored. 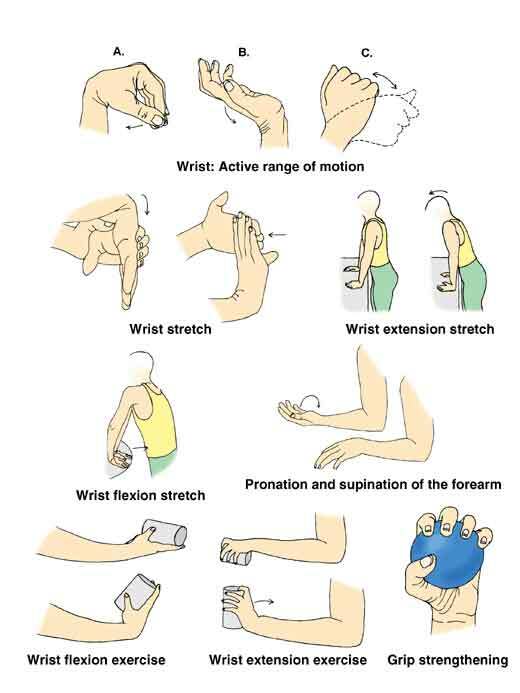 To restore the ROM of the wrist and digits either fully or at least the functional range. To improve the muscle strength of the wrist, thumb, digit flexors and extensors, hypothenar, thenar, lumbricals and interossei muscles. 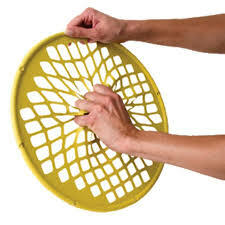 Functional goals: To restore hand function like grip, grasp and pincer grip. Cast/acts as a stress sharing device. The plaster should be snugly fitting and should not cross the proximal palmer crease and head of the metacarpals dorsally. Dependent oedema should be treated by hand elevation and retrograde massage by milking the swelling from the fingertips to the palm. Uninvolved joints: Active ROM exercises are encouraged to the digits, thumb, elbow and shoulder joints to prevent stiffness. Isometric exercises to the hand muscles are begun. External fixators: External fixators are permitted in compound, comminuted fractures. The rehabilitation programme for the fracture treated by external fixators is more or less similar except cast care instead care of wound and pin sites, skin tenting skewing up of the tendons muscles and nerves and of the evidence of infection is carried out. The pin sites should be cleaned with antiseptic swabs. Open reduction: in this case care of the wound takes precedence. Cast is similar if applied. 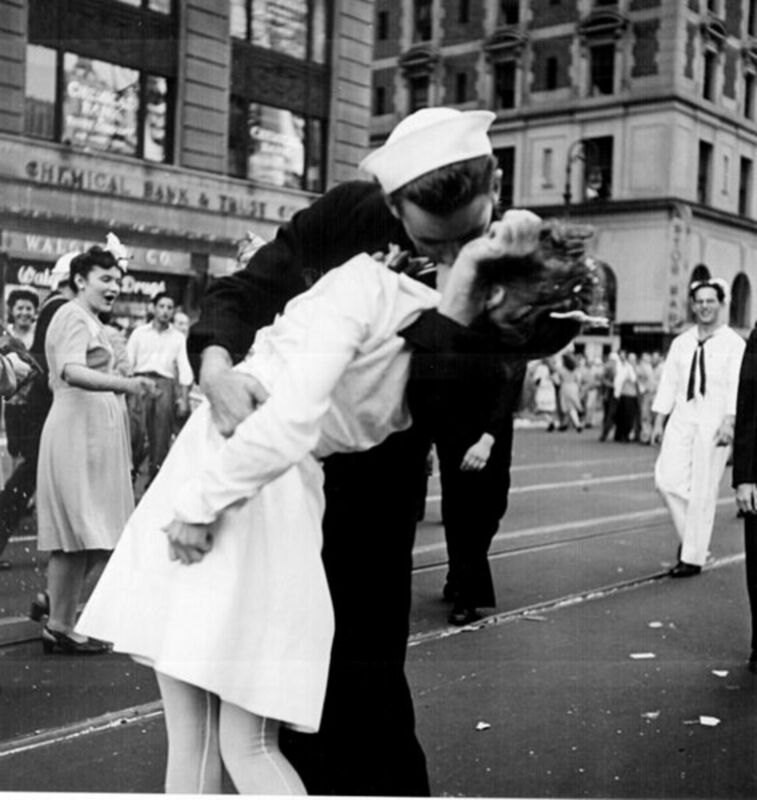 Test of the management is similar as mentioned above. Conservative: Recasting is advised if the cast is loose cracked or slipped distally. Check x- ray is taken. 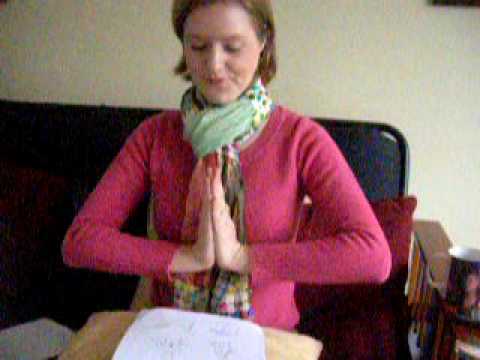 Continue ROM exercises to the shoulder, elbow, digits and thumb. External fixators: Pin sites are evaluated for the sign of infection. Active supination and pronation along with those mentioned above is permitted. Open reduction internal fixation: The cast/ splint are removed wound is inspected and the sutures are removed if fixation is rigid there is no need for the further immobilization. The cast is removed and a check is made for stability, tenderness and ROM. X- ray is also taken to assess the fracture status. If there is tenderness ,motion of the fracture site poor callus over x- ray a short arm cast is reapplied however if the above findings are absent then the cast could be discontinued and full range of motion exercises can be encouraged. Step1: To reduce pain, oedema and discomfort hydrotherapy thermotherapy etc is given in the initial stages of the wrist mobilization. 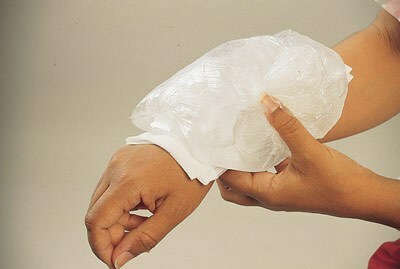 Passive wrist mobilization: This is begun after about 7- 10 days of the above treatment. He patient sits with the affected hand resting on the edge of the table. Fixing it with the normal hand the affected arm is lowered below the table (palmer flexion) and raised above the table (dorsiflexion) periodically. Alternatively the Indian Salutation method of namaskar (for dorsiflexion) and reverse salutation (for palmer flexion) achieves the same results. 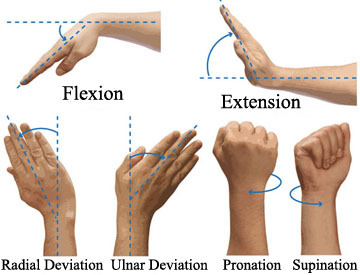 Pronation supination exercises as mentioned in the earlier section are carried out. To regain the muscle strength, gentle resistive exercises like ball squeezing is encouraged. Apart from the above steps it is very important to instruct the patient to carry out the day to day activity through the affected hand. In case of pain, discomfort the night splint can be used. EXTERNAL FIXATORS: The pins are inspected and cleaned if infected they are removed and a cast is applied. It is important to continue the pins for 6-8 weeks if there is no infection. OPEN REDUCTION AND INTERNAL FIXATION: The cast is removed and the above mentioned exercises regimen is started promptly. By now the cast is removed and vigorous exercise regimen as mentioned above is carried out. External fixators: If the fracture is stable the pins are removed and the above exercises regimen is carried out. However if the fracture is unstable, a short arm cast is further applied for a periods of four weeks. Open reduction and internal fixation: If the fracture is stable all the above mentioned exercises are pursued vigorously. Full weight bearing with the affected extremity could be commenced now. The patient is warned about these possible complications and is advised to make suitable adaptations. WRIST MOBILISER: All the movements of the wrist can now be mobilized with the wrist mobilizer. This instrument is user friendly and is supposed to give better results.